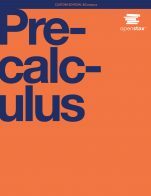 Published by OpenStax, Precalculus is intended for college-level precalculus students. Since precalculus courses vary from one institution to the next, we have attempted to meet the needs of as broad an audience as possible, including all of the content that might be covered in any particular course. 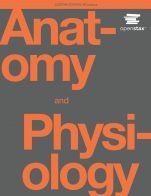 The result is a comprehensive book that covers more ground than an instructor could likely cover in a typical one- or two-semester course; but instructors should find, almost without fail, that the topics they wish to include in their syllabus are covered in the text. Many chapters of Openstax Precalculus are suitable for other freshman and sophomore math courses such as College Algebra and Trigonometry; however, instructors of those courses might need to supplement or adjust the material. OpenStax will also have College Algebra and Algebra and Trigonometry titles tailored to the particular scope, sequence, and pedagogy of those courses. 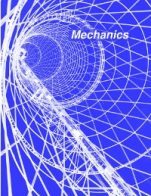 Precalculus Cover is copyrighted by Rice University. It is not subject to the Creative Commons license and may not be reproduced without the prior and express written consent of Rice University. 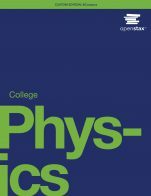 Precalculus (OpenStax) by Jay Abramson, Arizona State University, OpenStax is licensed under a Creative Commons Attribution 4.0 International License, except where otherwise noted. While the level of the descriptions and examples seemed appropriate, the level of the exercises is completely inappropriate for our PreCalculus course. Most are trivially easy reinforcement of skills with only a few harder exercises, and painfully few combine skills from previous areas. This leaves students critically under-prepared to move to subsequent topics and courses. This choice of level for exercises is honestly baffling. For this reason alone, I would not recommend this textbook. In terms of content coverage, many areas are covered well, but a few critical areas are missing. For example, the material on quadratic functions does not include how to complete the square, or mention completing the square at all. Instead it has students memorize the -b/2a formula. Later in the chapter on conic sections, it's assumed that students know how to complete the square. While this is covered in previous courses, it is critical enough that it should be reviewed. 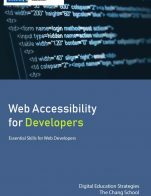 The book includes more material than could be covered in one course, by design, to allow instructors to include the extra topics of their choice. The index is fine, and with a searchable online version or PDF most things are able to be found. There are some errors in the exposition. There is a document of errata available, but it is only available to instructors signed in to the OpenStax website. It is unclear how often they are incorporated into the web version and PDF versions of the text. Most of the errors noted in the errata are minor typos and clarification of wording, but a few are sloppier descriptive errors that should have been caught. The text does not seem biased to me. Some examples use recent events to illustrate concepts. These were appropriately chosen and not overdone, and will not become obsolete. Content in precalculus is fairly static, so any updating needed would be for changing how courses are taught, not changing content. The language use is straightforward, though a little bland in places. New terminology is called out and defined, and wording is precise but not too complicated to follow. As noted in comprehensiveness, the exclusion of completing the square in quadratic functions was inconsistent with the conic sections. I did not notice other major inconsistencies. The material is divided into numbered chapters and sections, and each section has several subsections with headings but not numbers. Reading is divided up by examples, boxed definitions, and other labeled features. Reorganization should be possible. There are not many self-references beyond what would be expected from topics that build on each other. The later chapters are explicitly designed to have instructors pick and choose which topics to cover. A few choices in order of material are strange. Material on graphing polynomials is presented before finding zeros, so the only exercises requiring graphing are those that are either given in factored form, or able to be factored without use of the rational zeros theorem. The section on inverse functions is inappropriately light, while more difficult inverse functions are left for a separate section on inverses and radical functions that appears after polynomial and rational functions. The first few sections in chapter 1 are choppy, but this is not unusual as there are a number of small things to cover. The flow was interrupted by boxed definitions and additional features such as Q&As. I found the division distracting at times, and felt that some of these features would do better as sidebars rather than break up the main flow. The online version is easily navigable and searchable, and the PDF version has links to sections. The online version hides solutions to examples and odd exercises under a link, which is nice, but it also leaves off numbering of exercises. I am not qualified to judge grammar, but there appeared to be the usual number of minor errors. Most of the word problems in both the examples and exercises are given without identifying details (“a student”, “ a company”, etc.). When names are used, they are varied. It appears that this was a deliberate consideration in creating the book. Imperial units are used, and while metric would be nice, updating that would be very time consuming. This book was adopted for a term as a trial, since on initial review it had everything necessary. We have reverted back to our previous book due to the issues mentioned in this review, particularly the inadequate exercises. Students were frustrated that the level we expected of them was higher than what they could prepare for from the textbook, and while we supplemented as we could, it was not enough.